View our calendar of upcoming CAMA events below. You can also submit your own event to be added to the calendar. Elevate Your Manufacturing Career with Solidworks! 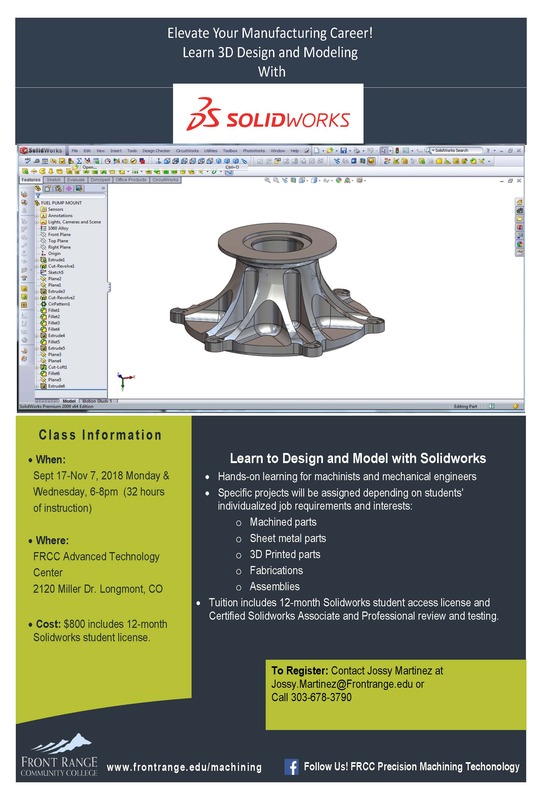 Machinists and Mechanical Engineers- Learn Solidworks from a machinist/engineer who uses it every day to design parts. The tuition includes a one-year Solidworks student license and the CSWA and CSWP testing fees. You’ll work on practical designs from your own job and depending on the class interest will include parts from various industries including machining, sheet metal, 3D printing, fabrications, etc.